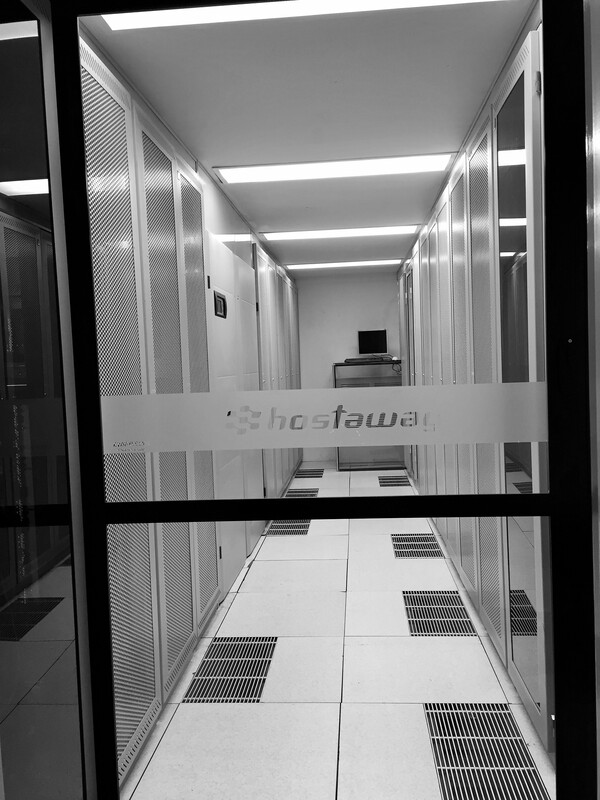 At HostAway we manage our own data centre facility and one of our goals is to improve efficiency and redundancy wherever possible. 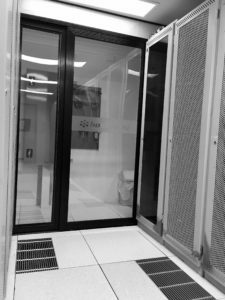 To achieve this we have recently added internal doors and air baffles to provide a cold aisle containment system for our server racks. This makes the area that needs to be cooled as small as possible whilst allowing all the hot air to be separated and drawn to our redundant air conditioning units. It also means that if an air conditioning unit fails the remaining units in the data centre will more easily be able to carry the load. Another benefit of cold aisle containment is that it reduces hot spots by allowing air to flow through the entire rack, front to back instead of bottom to top. This change in airflow has been a large project initially requiring perforated rack doors, vented floor tiles and finally the baffles and doors. We will now focus on sealing the cold aisles as much as possible to remove any errant heat sources and “cold air leaks”. Whilst improving cooling has been the most visible change we continue to focus on other key elements of the data centre – most importantly power and connectivity. Servicing of our UPS, battery arrays and generator is ongoing as per our maintenance schedule and we have increased our fibre capacity and redundancy. New security cameras have been installed whilst our internal and external monitoring is tested on a weekly basis. Finally, you may have noticed our sticky door mat when entering the data centre to reduce debris. We look forward to running you through these changes next time you visit our facility! If you have started up a new business, or have thought of a brilliant idea, you will want to get yourself an online presence. Perhaps the most important step of this process is to pick a domain name that will mark your place in the online world. 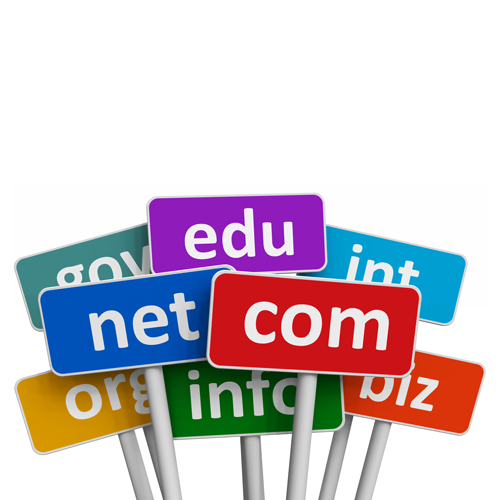 Below are a few tips to help when deciding on a new domain name. What kind of domain do you want? There are many types of domain names available, often referred to as a “gTLD”. “TLD” stands for “Top Level Domain” and refers to the letters which come after the last period in a domain, for example “.com” or “.net”. This also includes country-specific domains such as “.au” or “.jp”. “gTLD” stands for “Generic Top Level Domain”. There are more than a thousand of these in existence (still increasing! ), ranging from “.diamonds” to “.guru” and even “.sydney”. Most businesses that are based in Australia would choose a “.com.au” or “.net.au” domain name and perhaps also secure the “.com” or “.net” counterpart. You will then have the option of redirecting or mirroring the domains if you set up hosting. If it is a personal domain name, you may opt for a “.id.au” registration. This domain is restricted to individuals and is not for commercial purposes. Different domains have different requirements in order to be registered. Australian domain names (ie. 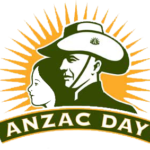 ending in .au) require an ABN or ACN for registration. The domain must also have a close and substantial relationship with the business it is intended to represent. The exception is “.id.au” whereby the registrant must be an Australian resident or citizen, and the domain must somewhat reflect the registrant’s name (e.g. full name or nickname). Additionally, “.org.au” domains require the organisation to meet certain non-profit or charity requirements. Other gTLD’s may have other restrictions placed on them too – if you have an eye on a domain, please feel free to get in contact with us so that we can find out if you’re eligible for it. Does anyone else have it? Note that this merely checks if the domain unregistered. You will still need to meet any eligibility requirements if applicable, and it does not guarantee that we can secure the domain. Domains have a set registration period for which you can register them. .com and .net domains can be registered and renewed yearly, up to a maximum of 10 years at a time. .au domains can only be registered for two years, and it is not possible to register/renew for more years in advance. Keep this in mind when you register a domain as they are not refundable. Dashes or hyphens can be used in domain names, just as long as it doesn’t begin with one. Keep in mind that it is harder to verbally relay a domain with a dash in it, especially if it has multiple. – Don’t let your domain expire! When a domain name reaches expiry, we are unable to place an extension on it as they are automatically placed into an expired state by the registry. Generally, you will have about 30 days to renew the domain before it enters a redemption period, after which it will be available to register again by other parties. HostAway will endeavour to contact customers whose domains are expiring to try an avoid this, however if you keep an eye in your inbox you will receive renewal reminders so you don’t forget. 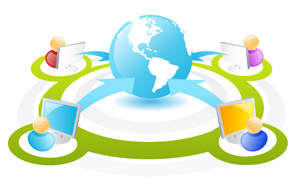 HostAway is able to register a number of different domains for you, from local, global or country specific extensions. Please let us know what you’re looking for and we’ll see if it’s available for you. 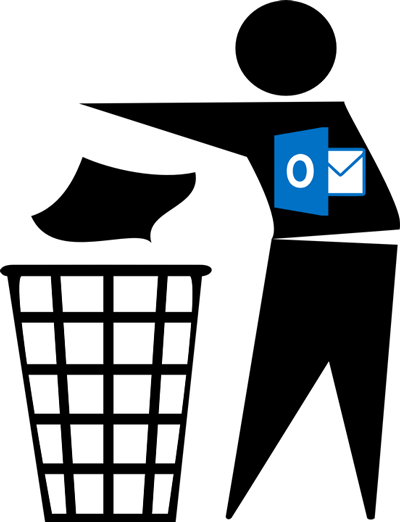 Outlook 2016 POP bug can delete or duplicate your emails! 08/03/2016 – UPDATE – Microsoft have released a patch so please update your version of Outlook (see the MS KB link below for instructions). Users of Outlook 2016 who have a POP account are finding their emails are being duplicated or in some cases being deleted. This only appears to affect POP mail users who have “Leave a copy of messages on the server” selected. If you also have “Remove after X days” selected then your emails will be deleted, if you do not have this selected then your emails will be duplicated. This month PHP, the widely used website scripting language, released its first major update in the past ten years – PHP 7. HostAway can now offer PHP 7 for customers wanting to take advantage of the long list of new features, the most notable of which are improved performance and reduced memory use. 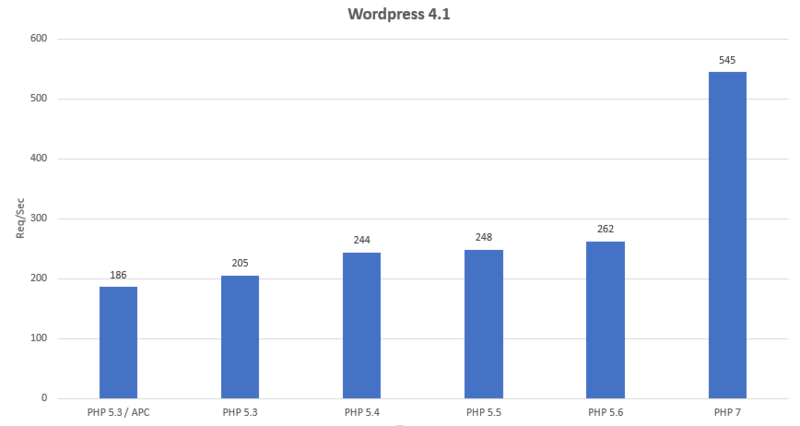 Below is a graph of the requests per second that each version of PHP is able to handle for a WordPress installation. Please note that PHP 7 will not be compatible with many older sites due to some features being deprecated, so please review the migration guides and feel free to call us to discuss whether the move is right for you. Multiple warnings were sent by TUCOWS, INC. [or other] Spam and Abuse Department to give you an opportunity to address the complaints we have received. Click here [link removed] and download a copy of complaints we have received. If someone were to click on the link it would download a file and the phone number is obviously not a local one nor is it valid. 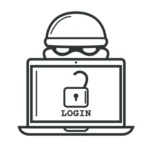 This serves as a reminder to remain vigilant against phishing attempts and if you have any doubts as to the validity of an email you receive from HostAway – just call us! On January 15th 2016 HostAway we will be retiring our Classic Webmail platform in favour of our Advanced Webmail platform. The primary reason for this change is that our Classic Webmail software is quite limited in functionality and becoming increasingly difficult to maintain and keep secure. HostAway will be copying address books and calendar information over to the Advanced Webmail software however if you have any questions please don’t hesitate to contact us. Please note that although we call it “Advanced” it is actually very simple to use! We would like to thank Classic Webmail for its many years of service and wish it all the very best in retirement. An SSL certificate encrypts information sent between a server and the users who connect to it. All websites that collect customer information are recommended to have an SSL certificate installed, and it is an absolute requirement for any site that takes credit card payments. Without an SSL it is possible for a third party to intercept and read your data (sometimes known as a man-in-the-middle attack) whereas an SSL certificate will make any interceptions unreadable. An Extended Validation certificate means the website has undergone more rigorous testing (and paid a lot more) for their certificate, and allows more information to be included, such as a company name. The images below are from the same website, Paypal.com, displayed in different browsers. The higher the validation (more identity checks) the more trusted the SSL certificate. 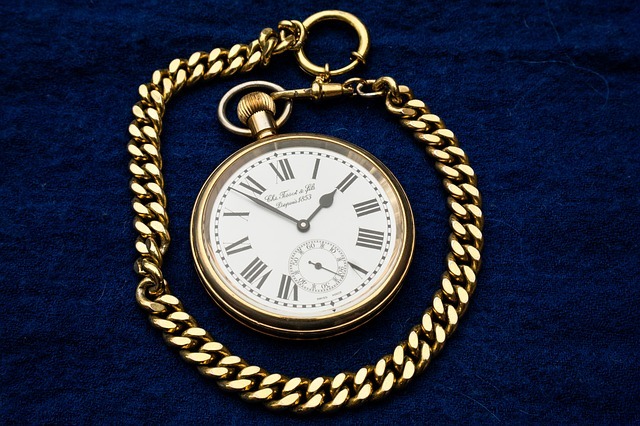 A standard SSL certificate can be issued in a few hours whereas an EV SSL certificate may take days or weeks to pass all the authentication checks. Most websites don’t need anything more than a standard SSL certificate, well written and maintained code (important!) and a great website host (aww shucks, nice of you to say) to protect their customers from hackers and identity thieves. HostAway can provide SSL certificates from multiple trusted vendors so if you have a preference please contact us and we can provide a quote. Mailbox and web space PRICE CUT! We have reviewed our hosting costs for additional mailbox and website space and reduced prices by up to 50% ! We are also able to create custom sizes so please contact us for pricing if you require more space. You may notice a discrepancy in pricing between email and website hosting and this is due to the different backup, virus scanning and replication procedures involved with email data versus website data. Cloud computing refers to remote computers running software and storing data which you access over the Internet. One of the earliest widespread cloud services was Hotmail – an email service where your data was stored online and not on your local computer. Over the past ten years there has been a rapid growth in the number and quality of services being offered through the cloud, i.e. over the Internet which you may access via a web browser, mobile app or a very basic computer. 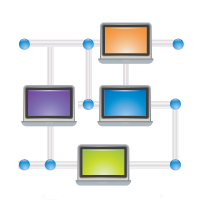 Software as a Service (SaaS) – The most common model, on demand software often paid for by a monthly access fee. This replaces the need to purchase software to install on a single computer with users instead leasing software to access from whichever device they choose. 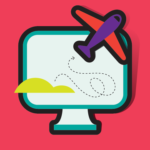 HostAway’s webmail software and mailout portal are examples of SaaS. 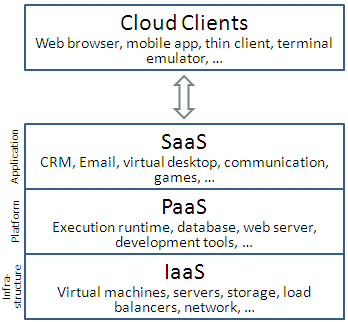 Platform as a Service (PaaS) – This model refers to computer environments that allow application developers to build and deliver their own software and services. An example is HostAway’s shared web hosting and database platform which allows website developers to focus on their code and not have to worry about the maintenance of the underlying operating system or hardware. Infrastructure as a Service (IaaS) – As the name suggests, this model provides users with access to virtualised infrastructure or hardware. Customers can lease computing power, storage, IP addresses and scale up or down depending on their requirements, without having to purchase any physical machines. HostAway has been offering Virtual Private Servers since 2008 allowing users to maintain their own operating systems and software. There are a number of compelling reasons to move your IT resources into the cloud. Scalability. If you need more, you pay for more. Flexibility. Access your data from anywhere with an Internet connection. Capex vs Opex. No more hardware costs, you lease services instead of buying assets. Physical security of data centres. 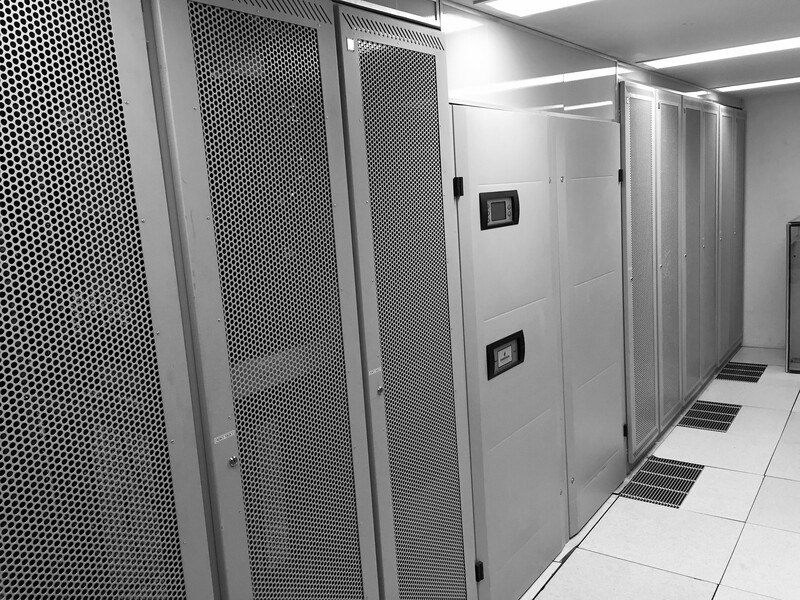 Your data is safer on a server inside a data center/s than on a hard drive in your office. Potentially lower costs. Not only do you not pay for hardware, depending on your model you don’t need to maintain or patch software either. Cloud computing is dependent on your Internet connection. If your connection goes down, so does your productivity. The delays in the NBN rollout and the necessary improvements in Internet connectivity in Australia has meant some companies don’t have reliable or fast enough connections to make use of cloud services. There are also security considerations when using cloud services, as you are no longer in complete control of your data. How is your service isolated from other users? Do you communicate with your cloud provider over an encrypted connection? Where is your data stored and what government’s laws do you fall under if your data is hosted overseas? We don’t mean to frighten you away from using the cloud but these are questions you should be asking – please don’t hesitate to contact HostAway if you have any questions about our hosted solutions. You are probably already using cloud services (remember Facebook? ), but for your business you may consider the three major deployment models: private, public and hybrid. A private cloud involves managing your own services either in house or in a data center and accessed via a secure connection. This option is more expensive as you still have to purchase and manage your hardware, but offers more security, privacy and control. 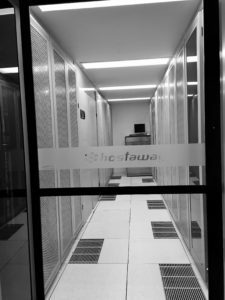 An example would be storing a file server in HostAway’s data centre using our Colocation service, and accessing the data via a secure Virtual Private Network (VPN). A public cloud is the more well known model where services are provided to multiple users over shared infrastructure which is publicly accessible via the Internet. A hybrid cloud uses a combination of the two, where a company will store non-critical data in a public cloud to take advantage of the lower costs and greater flexibility, but store their financial information in a private cloud. The cloud is not a mysterious floating solution for all your IT issues, it is a business tool and as such you have to analyse its strengths and weaknesses to determine where you store your information, and who you choose to store it with. Every industry has unique technical terms and IT is well known for it’s jargon and TLAs (Three Letter Acronyms). Whilst HostAway are happy to determine your needs and recommend a solution, we know that as a decision maker you might want to understand a little more about what we do. To help, we have come up with (or borrowed) the following analogies. PLEASE NOTE: As with all analogies, they aren’t perfect and so if you have any questions please don’t hesitate to contact us. Your domain name (example.com) is like the street address for your business. Without a domain name no-one will be able to find you. 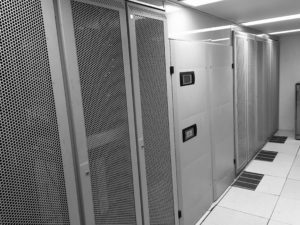 The website hosting is the foundations and structure of your office building – you may need a small office or maybe a warehouse, an office block where you share resources (shared hosting plan) or perhaps dedicated space (virtual server). 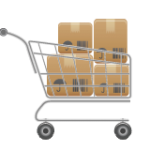 If your website needs a shopping cart you will need a database to store information much like a warehouse needs a shelving system to store products. You then to have your designer (web developer) build you an office that will attract customers, paint it, create signage and fill it with furniture (content). The next step is to attract customers to your store, so you need to advertise your location which you can do online with banner ads or paid search results, or you can advertise on standard media (TV, radio, newspapers etc). You might also hire a Search Engine Optimisation (SEO) specialist, who will make your office building appear brighter and help it to get noticed by people looking for your products. Of course, you can’t just leave the same products on the shelves and let your office appear run down. Every now and then you will need to update your content and give your office a new coat of paint, or a complete re-design. A key part of your hosting plan is DNS (Domain Name System) which can be likened to a phone book; it translates names into numbers. When you type www.hostaway.net.au into your web brower it checks with the “phone book” which provides the number (IP Address) where the website is stored, in this case 203.30.47.233. Your web browser then contacts that address and requests the web page. A server is a powerful computer that serves a specific purpose (e.g. email, website, file sharing, etc). If you liken a server to one really big house, and had a single bachelor living in it he would have lots of room and could do what he likes. If you put a lot of bachelors inside the house, they will get in each others way and any mess made by one affects the rest. A virtual server would be more similar to an apartment building, the space is divided into compartments and the bachelors can only make a mess in their own space which doesn’t affect any of the other bachelors. The Internet is often compared to plumbing as it is made of a series of interconnecting pipes of various sizes. The larger the pipe (more bandwidth) the more water (data) can flow through it. Network issues can occur if the pipes are cut or become blocked, which is why the HostAway network uses multiple large pipes (uplinks) to ensure we are always connected. If we were to use the analogy that a web server is like a pub, serving drinks (websites) to patrons, then a Distributed Denial of Service Attack (DDoS) is like a thousand people entering the pub in front of you and ordering a glass of water each. The pub is unable to serve you as so many different users are flooding it and taking all the attention of the bartenders. Fortunately, HostAway has bouncers on the door and a cluster of pubs to keep the drinks flowing! Bonus analogy (unrelated to hosting, we just liked it): If you copy an icon from your desktop to another computer why doesn’t the program work? The icon is most likely a shortcut, which only knows the location of the program, but does not contain the program itself. This would be like putting a post-it note on your office drawer saying “stationery” then taking the post-it home, sticking it to your kitchen drawer and expecting the contents of your office drawer to appear inside!